Thanks! I've put the termite mounds on area terrain, but since they are individually mounted they can also be used as separate blocking terrain. Thanks Gordon. I quite enjoyed pulling it all together for the game. I'll probably try to get at least one more Acacia copse done, along with a few individual trees and areas of long grass. It never ends! The termite mounds are a lovely touch. They were bought from Warlord Games but are probably quite easy to make out of greenstuff or milliput. Absolutely superb and very inspiring! 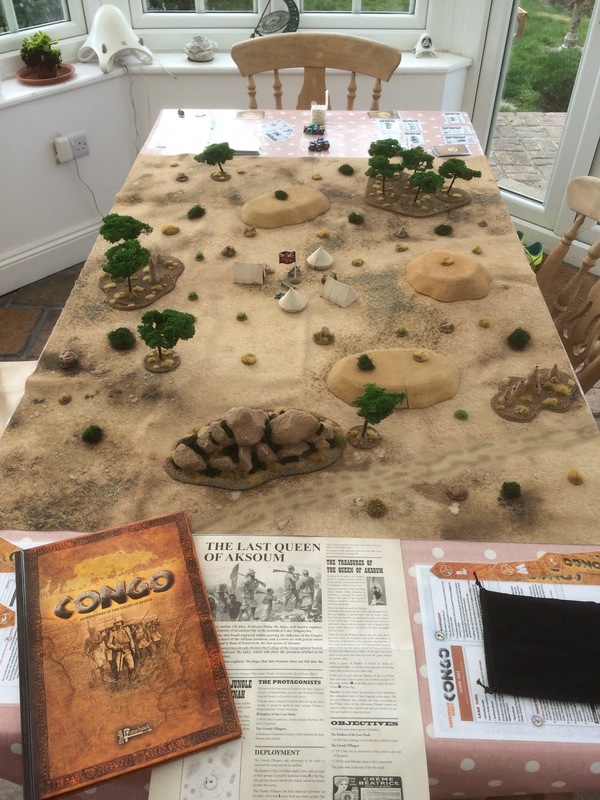 Thanks Michael, I think I was lucky to stumble upon the Zulu mat. Dude what an awesome job getting the terrain together. Well done! I might be inspired to take a peek at why everyone has gone gaga over this. The game is a lot of fun, with atmospheric scenarios. Figure counts are quite low meaning it's quick to build up a column and this certainly helps! Brilliant game I have to say. Your terrain is superb. I might be tempted by the termite mounds! Thanks Simon, the termite mounds do seem to be popular!